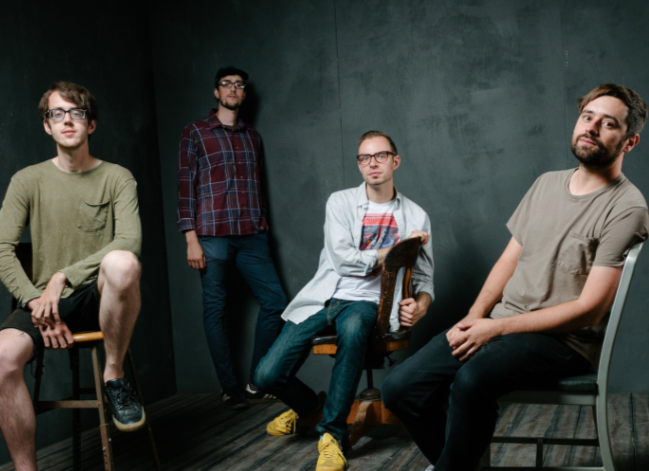 Fresh from the release of new album Life Without Sound, Dylan Baldi from Cloud Nothings recently revealed more about the recording process for the album, which track they're excited to play live and if they would like to head Downunder anytime soon. Congrats on the release of Life Without Sound, how does it feel to have it out? Good, it had been done for almost a year before it came out, so it's nice to finally see it in the world. We went to this place Sonic Ranch outside of El Paso, Texas. We were there for three weeks, it was pretty wild. It's a group of studios situated on this giant pecan farm. Very cool and surreal place, it doesn't even make sense that it exists, but it's there. The desert out there is full of interesting zones. The opener on the album ‘Up To the Surface’ is a standout from the album, how does this track set the scene for the rest of the album? It starts things off calmly and just introduces the record in the appropriate way. I like when albums start slowly and kind of ease you into the musical world that the record inhabits, and I think Up To The Surface is the proper song from this album for that role. Is there a track from the album that you’re looking forward to performing live? 'Darkened Rings' has been fun to play, it's the most energetic and guitar-heavy track, so it fits right in with some of the older material and keeps the set moving along. Would you like to come to Australia sometime in the future? Oh yeah, of course. Been there twice and had some of the most fun I've ever had there. Laneway, in particular, is a great festival and extremely fun tour to be a part of.